After my *pre-squee* in my recent “currently reading” post, I can say that that 90% of this one lived up to my “Beautiful Disaster feel” needs. It just kept getting better and better, and more intense as it went, and I was thrilled. Delighted! My heart clenched, I was exasperated and yet not overwhelmingly so, just enough to feel the tension and emotion, and to enjoy the drama. The heartfelt/slightly anguished/dreamy hits kept coming, and that’s the way I like it. A “falling for him, but…” fight to the finish. A few dangerous mystery/villain moments to keep things a touch scary (you know… she needs protection so HE has to live with her for a bit… YAY!! stuff like that). Lots of real-life, real-relationship, real “scared to let go” action that absolutely held my attention. And especially, with all the little emotional mess-ups, it had a BIG one that had me Uh-oh’ing out loud (and when I do that, when I react to a certain… reveal in that way, I am IN!!!!). My mind went in one direction, but the story surprised me. Grace has a secret, that only two people in her life know about. Her best friend, and her brother. The secret is that … hrmmm… no I had to discover it bit by bit and certainly enjoyed wondering what her deal was (this is the paranormal twist). So I’ll let you explore that, too. But because of the book synopsis, I am allowed to tell you this part: Grace knows only one thing for sure. That she has to find the love of her life. One that she knew, and only once she finds him again, will she be complete. There’s SO much more to that part, but it is revealed bit by but as the story plays out. This was the old original cover! How had I been capable of not noticing him before was beyond me. He was perfection. I couldn’t even have matched an adjective to him if I’d tried, but perfect would be the closest fit, and it still wasn’t good enough to describe him. … she realizes that no woman can. And he happily lets them climb all over him, takes what he wants, and continues onto his next conquest. But really. Conquest? It’s never really a conquest for him. It was completely understandable how girls threw themselves at him. I pitied him, wondering if he’d ever feel anything more than the sensations of his own skin. The gorgeous girls keep throwing themselves at him, and he’s humored, albeit mildly bored, with it all. Until he meets Grace. Fun times!!! Remember? That was fun. And we get some of that here. Even though I struggled a bit with the slightly rocky (somewhat exaggerated) “hostile” intro between the two, it was pretty much awesome once the writing flow, and story got going. Things meshed, dialogue felt right, fights were played out in an irrational (but totally human) way. And even the “paranormal” twist to the story was fitting. It wasn’t over the top, and could totally work in a real-world setting. So what’s my “hrmph” for? Two things, and both involve the ending. It’s a cliffhanger (which I am not so upset about because I hear book #2 will be ready soon) and with series, the story is often played out with more detail. Not rushed and I like that. That, or a fairly long, everything explored, stand alone book. I love that as long as the writing is good, and the story calls for that kind of length. And as much as I struggle with cliffhangers, this one was still worth the experience to get to it. This is my biggest concern. In the very last moments of the book, the tone changed. The…. paranormal twist became suddenly VERY focused and all-important and I’m hoping book #2 doesn’t lose that “real world/characters that we can relate to” feel. Even with my extreme love for the story, the end left me… worried about how much the feel might change. I experienced a little trepidation. I want it to keep it’s contemporary romance edge. While I do love a great paranormal series, I fell in love with this book specifically because it was exactly my kind of “real-life” book. Real bad boy, real hearts, real intense reluctance, and secrets. Secrets that if only explained might “fix” things, but then again, if revealed might actually make things worse. I’m crossing my fingers that book #2 will keep me here. And not “out there”…. Either way, I will continue onto #2 when it becomes available. So while I had to step back for an hour or so before deciding to review (to evaluate my thoughts, feel out my slight disgruntlement vs. my overall enjoyment) I’ve come to the conclusion. I couldn’t put it down, it was totally my thing, and well, Shane… OMG totally rocks! P.S. Doesnt she look like the singer of Evanescence? I went with her, in my head. This was the old original cover!! I agree 100% with your hopes for book #2 as well. Holy cliffhanger batman!! It was so addictive and I was soooo mad when it ended. I guess I should have read your whole review but I saw the “it’s like BD” and I stopped reading so I didn’t spoil the book. Guess I learned my lesson. Cannot wait for book two. next up Crash! Omg…it was so good. I couldn’t put it down and when I had to….I quickly returned. You were right Maryse, I could see some BD and Effortless. I didn’t realize that it was a cliffhanger! Grrrrrr!! Thanks for the recommendation. I loved this book. I could not put it down and I did not mind the ending as I am so excited to read the next book. The story had enough “rock star” bad boy feel, angsty misunderstanding, sexual tension, and paranormal mystery to hook me in and take me under for a page turning ride. Yes, I think it did have a bit of BD, Thoughtless and a little Providence vibe going, but for me it also a little “The Opportunist” feeling as well. I loved this book! I love that is has the para twist in it. It makes it different the the dozens of books sort of like it. I cannot wait until the next book comes out! Make sure to keep us updated if you find out when it will! I LOVED this book! Thought it was great guessing at her past for most of the book, and the twist with a certain archangel was great. You can see where she gets her muse from (all our fav books) but it has enough of a twist I thinks it worth the read. I hope she get the next book out SOON, I hate waiting. Thanks again Minha for recommending it!! What a deal that was! Britt – I get it!! I too, hesitated once i finished. As much as I was into “Shane” and everything Shane, the end left me somewhat disgruntled. I took a step back and contemplated it for a bit, and realized I was thrilled I had some of that Beautiful Disaster type intensity (I was totally into it while it was happening) and so the cliffhanger and strange ending was worth it, for me. Lise – yep!! The lies and deceit…they had their reasons but still… some of it was heartbreaking. Kyle and Summer – the twists certainly had me guessing. I will definitely give the second one a read! You guys are awesome! Thank you so much for reading the book and taking the time to talk about it and share it with everyone. Maryse – I know you mentioned that you heard book 2 will be out soon, but I’ve been unable to find out if that’s a few weeks…months…next spring? I just finished and thought it was a great read, but really want to know what’s next! Help? And I loved that she’s also a musician. That was amazing. I’m a zumbi now, I didn’t sleep at all last night. And yeah I have to agree with you, it would be better if it was just a contemporary book, I’m afraid the next one will lose this real life feeling. Gaaah just stayed up til midnight finishing this book! Need a release date and title for next in series!! Loved It!!!!! Can’t wait until book 2. I’m with Keighley….need to know the release date and title for next book!!! Loved it!!! 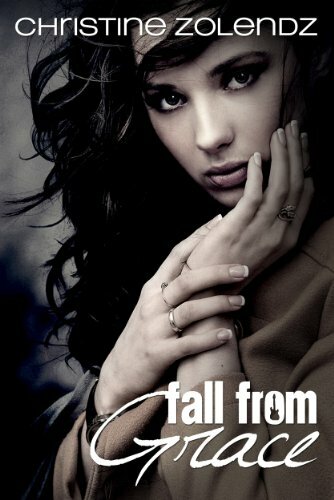 I’m dying to read this but couldn’t find it on Nook. Is it only available on Kindle? I loved this book! Downloaded it last night and read it straight through and have recommended it to my little book club at work. I’m with everyone else though, I need to know when book two comes out and I really need for it to be now! It’s coming!! LOL! The author has been blogging with updates in her writing progress, but rest assured, she is writing as we speak. 🙂 I can’t wait!! Loved this book!!! Love your blog!!! Anyway – Shane is definitely as you would say Maryse “squee”-worthy. When she gets a certain video text message… my heart was breaking!!!! I really liked the relationship development in the story… I just don’t feel like I really GOT the ending. It was just so much at once I think maybe… I don’t know… I definitely will be looking forward to the sequel. Totally agree with your review. The end nearly killed me, I think I stopped breathing and now I’m like breathless waiting for the next book. I too agree it was Like Beautiful Disaster and I love how the paranormal was in there but not in your face. Sometimes I wish real life could be like this book. You know the perfect bad boy who finds ‘the one’ (too bad it couldn’t be me lol). Going crazy till the next book comes out! I loved this book! 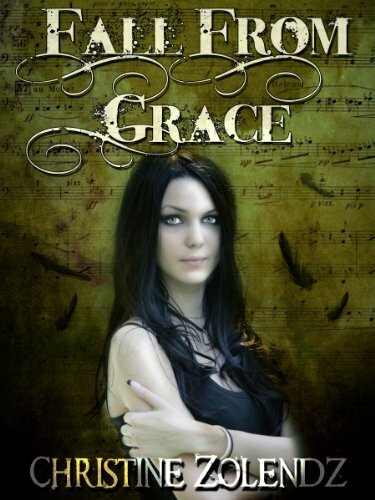 I could really connect with Grace, kinda felt like I was her ya know?… loved that the book had alot of music in it. Just like Grace I love to sing and play the piano. Plus she really was a strong female lead, gotta love that!! Your review was exactly what I thought. I can’t wait for Book #2. Hoping that after all these years they can get their happily ever after. #2 might be out in two months!!! YAY!! Love your blog. I find so many wonderful books here Fall from Grace was amazing. What more can I say besides this author ROCKS!!!!!! I read this book over night! I did have to go back and read the last chapter to really understand what was happening. I really enjoyed this book because, it had a little bit of the paranormal aspect to it, which made it different from all the other “rock superstar” books. I am looking forward to the next book, just to see where it will go. Will it be a true love of now or they’re past? I just finished this and I loved it. I am also depressed that I have to wait for the next book to come out. I can’t handle the wait. My stomach hurts. Where can I get these 2 books?? I have the kindle app but I would like the books too. ooohhh – I feel hard for the two books in this series. Just read both in one weekend. Anyone have any suggestions on what to read after this?….nothing can compare to Grace and Shane! !